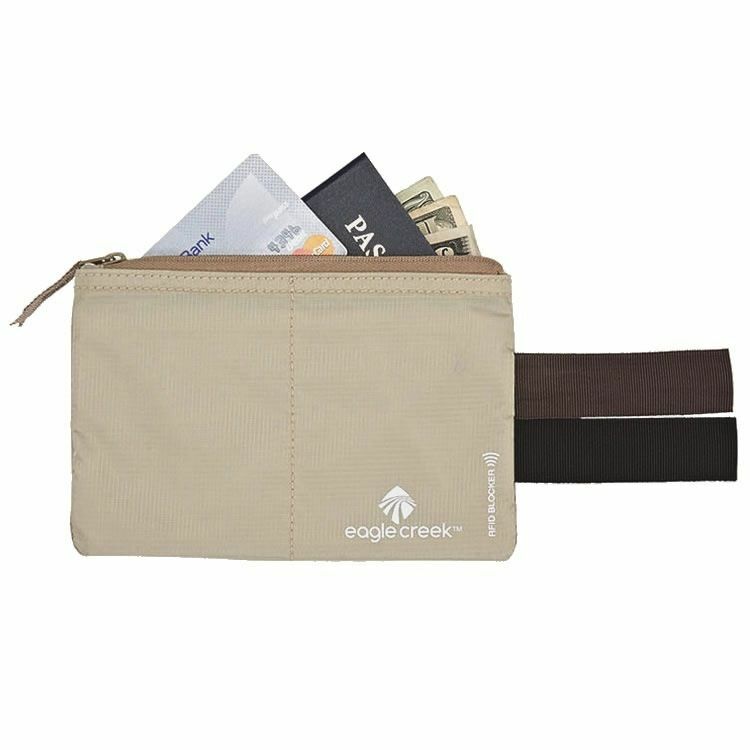 TECHNICAL *Weight: 28G *Fabric: Blocker Weave, 70D Nylon Ripstop, Wicking Knit Tricot Backing *Dimensions: 17 x 11cm DESCRIPTION: Eagle Creek Hidden Pocket comes with RFID Blocking technology which helps protect your personal information from being stolen by an RFID reader. So now you've got smart organization and comfort with the added benefit of even more travel security. This simple hide-away pouch slips onto your belt and conveniently tucks into the waistband of your pants. Great for international travel.